The war against ISIS...or Daesh as the Arab's call them...has been going on for some months now but Abdullah dared to speak these words only after the muslim world joined the rest of the world in gasping in horror as ISIS' burned alive captured Jordanian pilot Lt. Muath al-Kaseasbeh. And Abdullah's’s military pledging to go after ISIS only came after Obama leaked to the press that he would probably seek Congressional authorization for an upgrade in military force against ISIS. 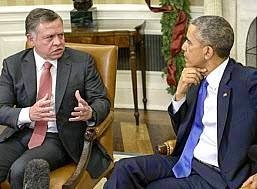 So before anyone goes 'all-in' with Jordan’s King Abdullah II and starts promoting him as the leader of men that Obama is not...remember that Abdullah is not all that he appears on the surface to be no matter what the mainstream media says for the fact is that Abdullah is not in control of Jordan...the military is. But first the photos...contrary to what the media is leading you to believe the photo of Abdullah in an F-16 fighter jet leading the Jordanian air force forward in retaliation is a phony...for he is not in an F-16 fighter jet but is in a Black Hawk helicopter and how do we know...beyond the above statement issued by the palace itself...Craig Andresen...co-writer on this article...has flown in an F-16 fighter jet and can testify to the affect that Abdullah is surely not in one. 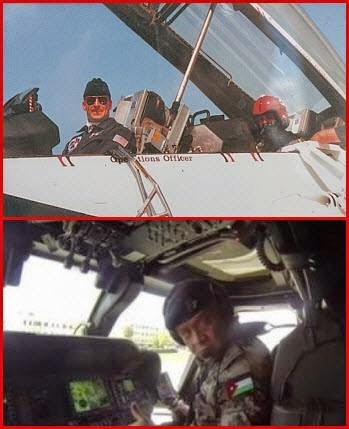 And as per fact, Abdullah was never trained as a fighter pilot...he is a certified Cobra Helicopter pilot alone... and no helicopters whatsoever were involved in the airstrikes. 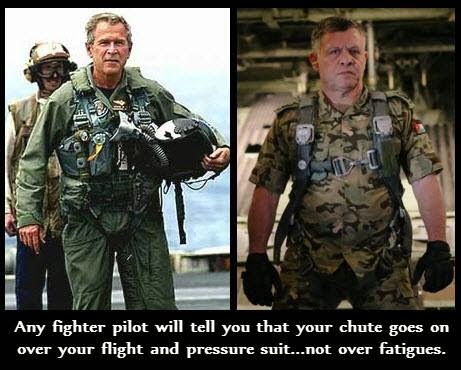 And the photo of him in fatigues with a parachute strapped to his back is nothing but a PR shot because any fighter pilot will tell you that your 'chute' goes on over your flight and pressure suits...not over your fatigues. And so the king who tries to promote himself as a hero is in reality a coward for only a coward would try to capitalize on the death of Lt. al-Kaseasbeh just to save his throne. Just to save his throne...and why...because Abdullah knows that if ISIS moves in and takes control of Jordan he is out, but if the Muslim Brotherhood moves in and does likewise he gets to remain their figurehead-in-power with them pulling the strings. This is why both Abdullah and Obama want to go after ISIS and ISIS alone, because by separating out this individual 'tentacle' if you will, and regarding ISIS as an ‘organization’ as Obama recently called them, both can still maintain their affinity and loyalty to the 'host organism'…Islam…leaving it intact to continue to caliphate-build. 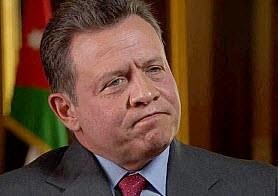 And know that King Abdullah II is indeed directly tied to the Muslim Brotherhood no matter some 'supposed' signs that he is removing himself from their orb for Abdullah is faithfully continuing with settling the debt to the Brotherhood incurred by his late father, King Hussein. And this debt started in the 1950's when King Hussein relied on the Muslim Brotherhood...the region’s chief Islamist movement at that time...to help protect his Hashemite kingdom against threats of revolution from Arab nationalist movements. And as part of his debt to them he supported their becoming part of Jordan's government, and after they triumphed in the1989 election, Hussein allowed them to hold five ministries no matter that he reined them in a bit after their strong opposition to his peace treaty with Israel. And now Abdullah is continuing on with repaying that debt for the son dares not renege on the father's debt to those as powerful as the Muslim Brotherhood. And for Abdullah, as well as for Obama...remember the two feed and work off each other...their being able to separate ISIS from Islam has become quite easy to do, because the latest acts of brutality committed by ISIS in the name of Islam have raised the ire of both Arab nations as well as non-Arab nations...meaning ISIS has become bad for the caliphate-building business so ISIS must be dealt with sternly. But unfortunately, sternly to both Abdullah and Obama means limited and targeted airstrikes. 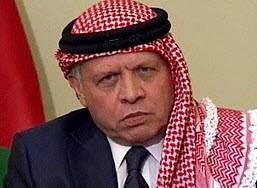 However, if they were truly serious about ridding the world of ISIS they would not only be calling for just airstrikes but would be signing off on 'boots on the ground' and getting other Arab nations to send in 'boots' as well as alone Jordan has no capability to stop ISIS, a that fact that even Abdullah knows. And with Obama lacking the much needed will to commit American 'boots'...as 'boots on the ground' would be bad for his legacy...Obama's allegiances again come to the forefront with his just released plan for dealing with ISIS...a plan he calls 'strategic patience'...a repackaging of the same old-same old just with shiny new words. And know that patience is a hallmark of Islam itself for the simple fact is that Islam is nothing if not patient...remember they have been in the caliphate-building business for 1,400 years. Sadly, to date, an upgrade in airstrikes still seems to be Abdullah's and Obama's sole plan to stop ISIS and know that it will fail, because unlike the other 'tentacles' of Islam, ISIS is dripping with ready cash on hand. An ISIS commander in the field can make as much as $1500.00 per day…something no other Islamic 'tentacle' can match...the Muslim Brotherhood can’t pony up that kind of pay…al-Qaeda can’t do it... Hamas can’t even begin to match it nor can Boko Haram...and money is why so many young men are flocking to ISIS...that along with wanting the feel of infidel blood on their hands. 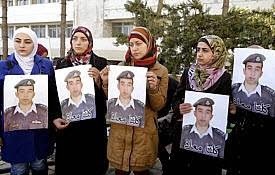 And why do we believe that Jordan's military is in control of Jordan and not its king...here are the facts...Abullah was against the war on ISIS up until three days before the war and after learning that al-Kaseasbeh was burned alive it was the army NOT the king who immediately went on Jordanian State Television to tell the people, and it was the army who during that announcement said they not the king will exact revenge by all means possible against ISIS. However, what most here in the U.S. do not know is what the army did was actually a breach of the Jordanian constitution as they have no legal mandate to launch a war, but they did just that right on state TV...and that equates to a slap in the face to the king thus elevating the military above the monarchy. Also know that our Congress finances the Jordanian army with our taxpayer dollars to a tune of more than $400 million a year, and said army is for the most part U.S. trained and equipped. The U.S. and Jordan are very close when it comes to air strike cooperation and do not allow yourself to think that the Jordanian military acted solely of their own accord as they were most assuredly operating under the instructions of the Obama administration. Now do not think Obama wants ISIS destroyed for altruistic reasons as both Obama and Abdullah want ISIS gone so that the Muslim Brotherhood becomes the dominate force in both Jordan and the entirety of the Middle East. So, this war of sorts is actually being fought to create a vacuum of power within the growing caliphate to be filled by the Muslim Brotherhood, meaning that the Muslim Brotherhood, while vicious in its own right, is still more palatable to the Arab nations than ISIS is. And as we all know limited and targeted airstrikes will not be enough to stop or even contain ISIS as 'boots on the ground' is the only option that will. 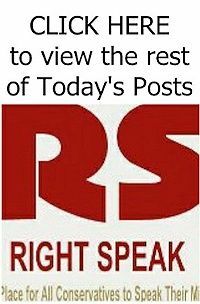 And while Obama keeps saying that American 'boots' will not happen on his watch, and while Abdullah said recently on the 'Charlie Rose' show that he is against a ground war, both the U.S. military and the Jordanian military know that a ground war is indeed the only viable solution. 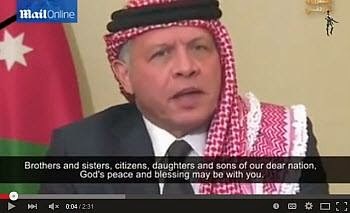 And the Jordanian army doing what they did in retaliation shows that they disagree with their king and will act with or without his approval...translation: the army does not give a damn any more as to what the king says or does as their actions have actually stripped Abdullah of his control over the army. And whether most know it or not the truth is that Obama also wants Abdullah out of power even though Abdullah supports the Muslim Brotherhood. And why...because Obama wants a strict Muslim Brotherhood government in place without the king remaining as a figurehead. This was the same reason why Egypt's Mubarek had to go as Morsi was not a figurehead but was an actual Muslim Brotherhood operative, and that was palatable to Obama as he outwardly supports the Brotherhood...case in point is his flooding our own government with Muslim Brotherhood members. As per the facts presented here it becomes obvious the both Abdullah and Obama are not what they seem to be. Obama (we believe) is an agent of the Muslim Brotherhood and other Islamic factions, and King Abdullah II has been relegated to the status of a figurehead with no real power whatsoever. Neither Jordan nor the Middle East can prosper under the Muslim Brotherhood and in that regard the Muslim Brotherhood is as dangerous as ISIS.